The true adventure and spy story about the greatest act of sabotage in all of World War II. ...[a] riveting and poignant new book ... The Winter Fortress metamorphoses from engrossing history into a smashing thriller ... Mr. Bascomb’s research and, especially, his storytelling skills are first-rate. He even makes a reindeer hunt unnerving. And some of his anecdotes are priceless ... a tribute to courage, resourcefulness and patriotism in a neglected corner of the war. ...a spellbinding account of the quest to stop Germany from building an atomic bomb ... Bascomb uses diaries, memoirs, letters and interviews with family members to vividly re-create both action and dialogue. He includes remarkable details, such as team members receiving orders by listening to coded language on BBC news reports and the wind in a hellacious winter storm they encountered sounding like 'muddled screams' ... The narrative naturally flags a bit after the raid but otherwise The Winter Fortress is a taut and peerlessly told adventure story full of thrills, derring-do and heart-stopping tension. Bascomb bravely tries to explain early research in nuclear physics, including the production of 'heavy water' and how that mysterious liquid was essential to German efforts to build a bomb. Norsk Hydro’s plant was the best place to produce it in necessary quantities. But while the science is accessible and interesting, the heart of the story is how a small band of Norwegians escaped to England after Norway’s surrender and occupation in 1940, how they trained with British commandos, developed an intelligence-gathering force back home and slipped back into Norway to deny Hitler that awful power ... 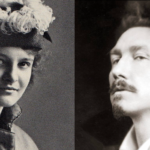 In scene after dramatic scene, from remote Norwegian mountain hideouts to research rooms in Berlin to commando training camps in Britain, he uses crisp dialogue, lavish description, deep character development and other literary devices. It makes for suspenseful reading and feels honest, but at times one almost hears the camera’s whir ... The Winter Fortress is an intensely researched and vividly told account of one of the most critical episodes of the war. 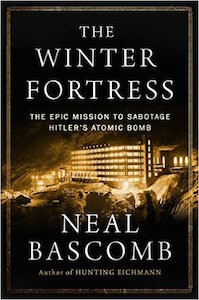 What did you think of The Winter Fortress: The Epic Mission to Sabotage Hitler's Atomic Bomb?